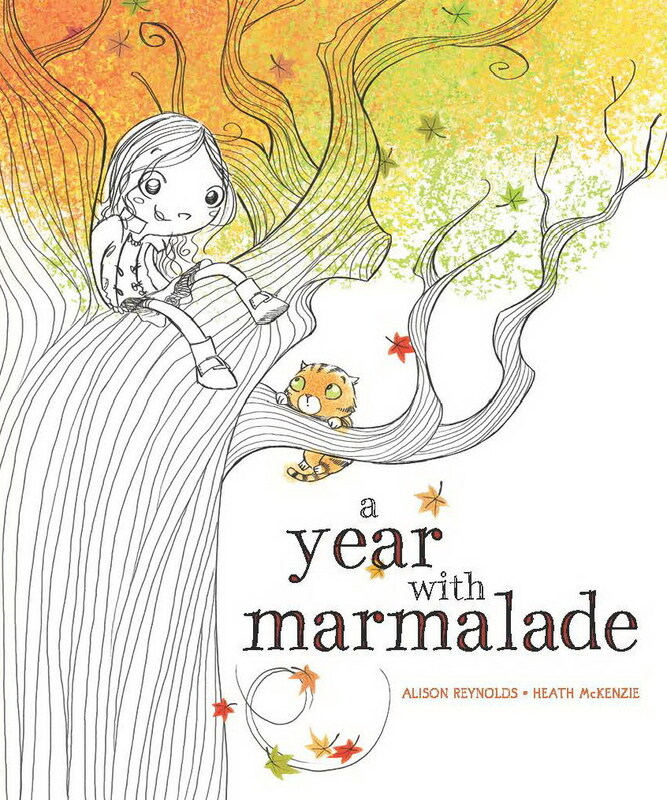 I am very excited about the release of A Year with Marmalade. Illustrated by the amazing Heath McKenzie and written by me, A Year with Marmalade, is a story about losing friends and making new ones. It’s a story about change, which isn’t always a bad thing. Here’s the synopsis: Ella and Maddy are best friends who love spending time together. But one day everything changes when Maddy has to go away. She entrusts her cat Marmalade to Ella’s care, but Marmalade and Ella are not best friends – or even friends at all – and they definitely don’t like each other’s company. Watch out! I’ll tell Sasha that you are calling her a half ancient dog. Lovely to see you here, Denise. That’s amazing. I also live on a hill in Melbourne in an old house opposite park land. We too have an half ancient dog who sits on my feet at dinner time, keeping them warm, but hoping something delicious will fall off my plate. Love you Alison, – Love A Year with Marmalade.